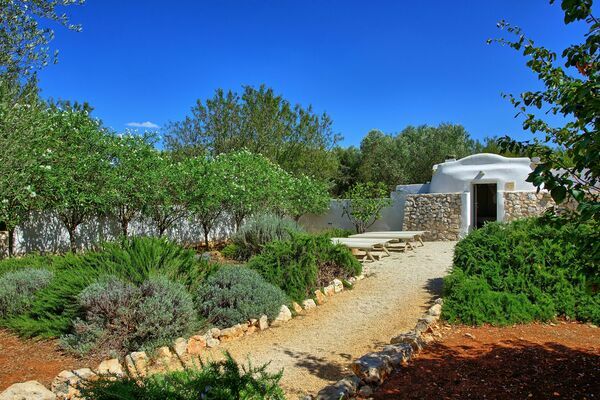 Beautiful property created by restoring a small “trullo”, a typical Apulian house, situated a short distance away from the village of San Michele Salentino (1 km away). 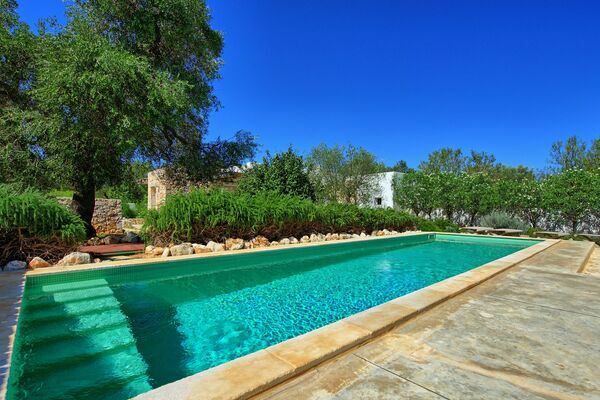 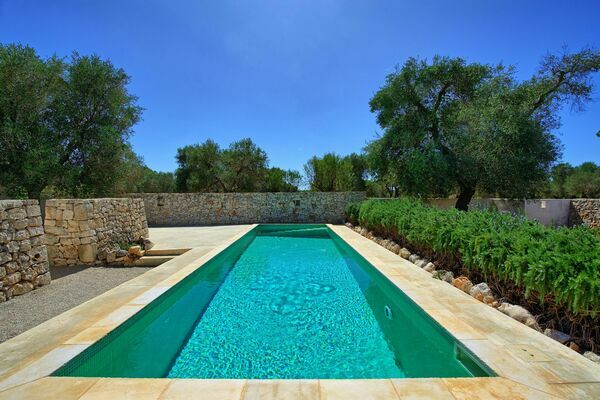 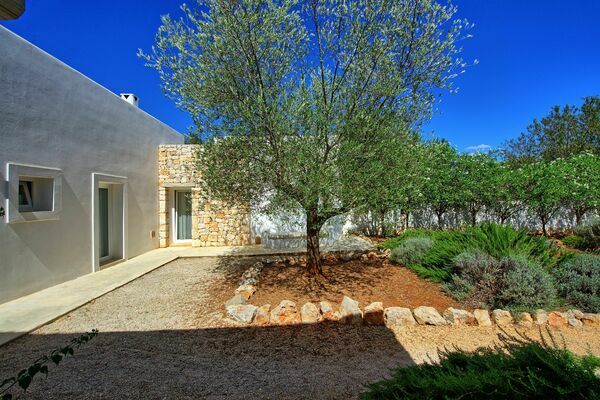 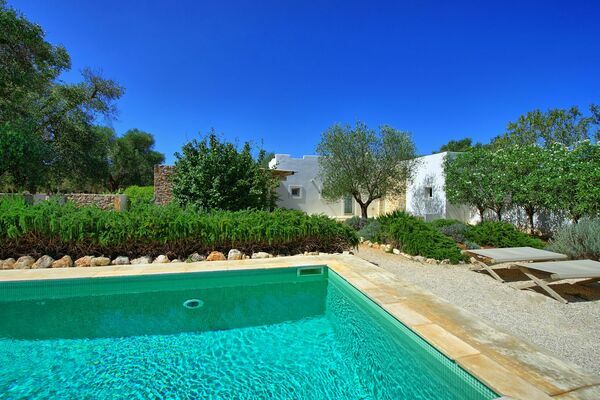 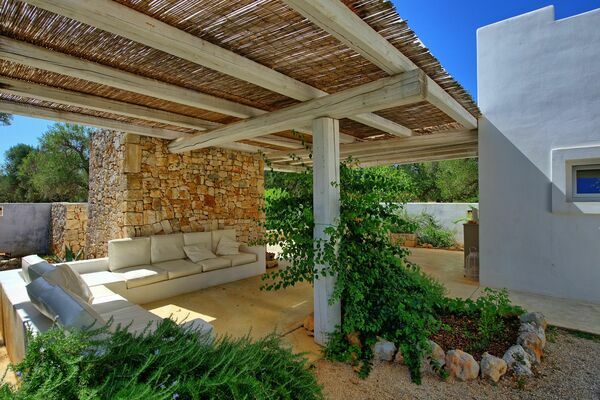 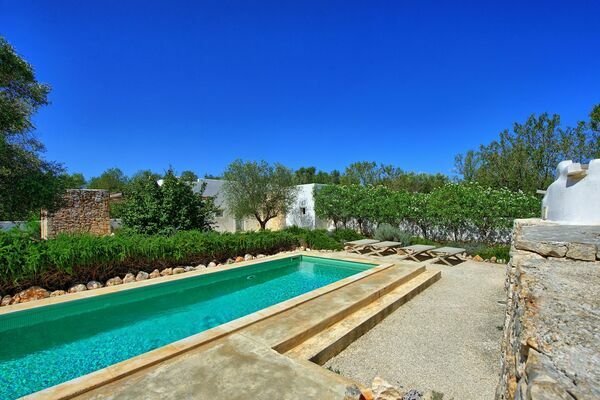 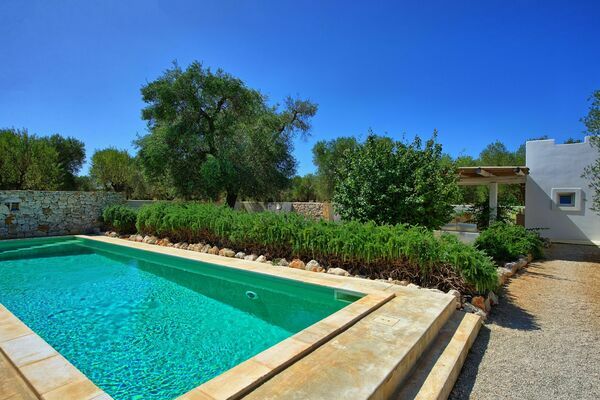 This estate is surrounded by beautiful olive groves and is peacefully located. 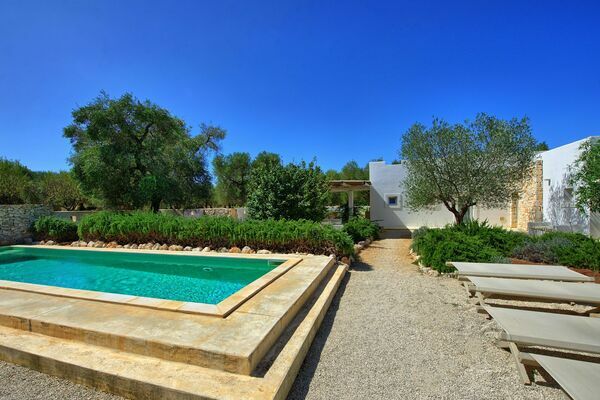 The house, fenced by a wall offering total privacy, has a well-groomed nice garden with Mediterranean bushes and a private swimming-pool. 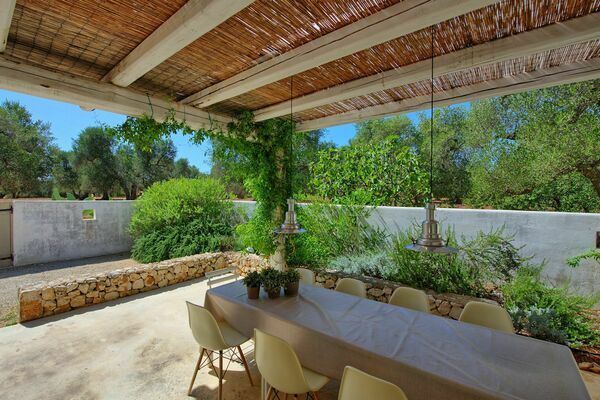 The property comprises a main building with a charming veranda ideal for al-fresco dining and a smaller outbuilding (trullo) by the pool. 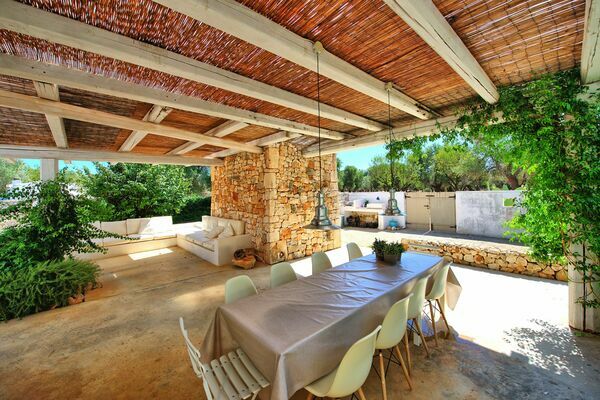 The interiors are bright and tastefully furnished in a typical local style. 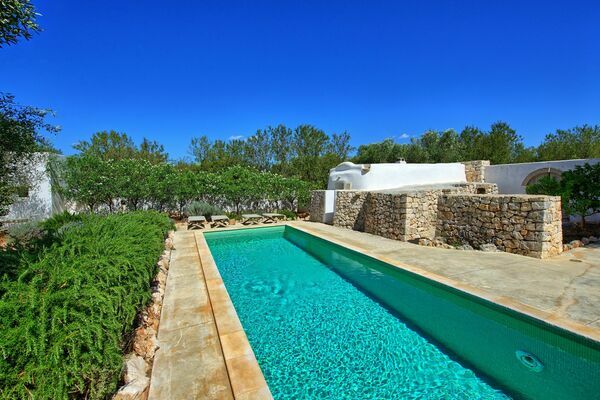 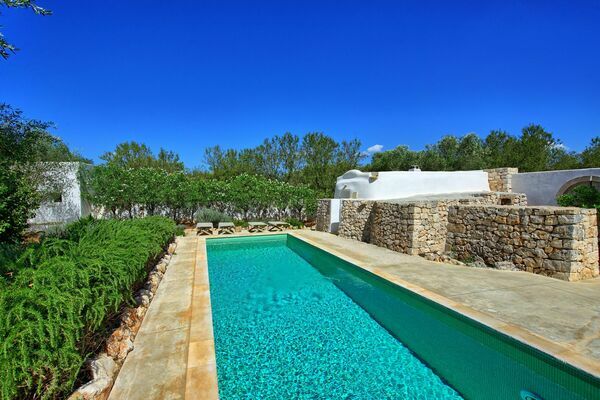 Distances: San Michele Salentino with general stores 1 km away, Ostuni 13 km, beaches approx. 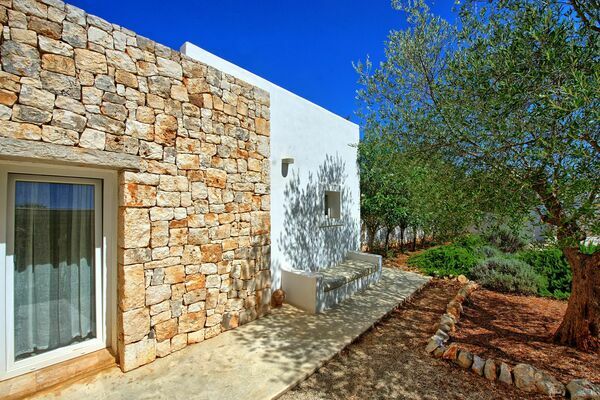 15 km away, Brindisi 30 km, Fasano 45 km, Alberobello (renowned for its charming “trullos”) 48 km away. 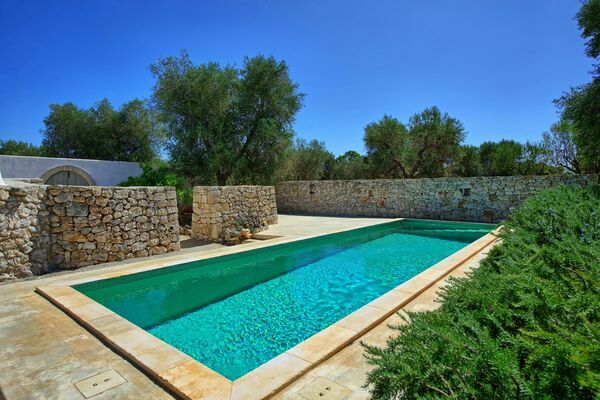 At guests’ disposal: large, well-groomed garden with private swimming-pool (10 x 3 m – depth 1,8 m – open from 01/06 to 30/09) accessible by comfortable stairs, open-air shower (warm water) by the pool, additional open-air shower (cold water only) on the back of the main building, barbecue. 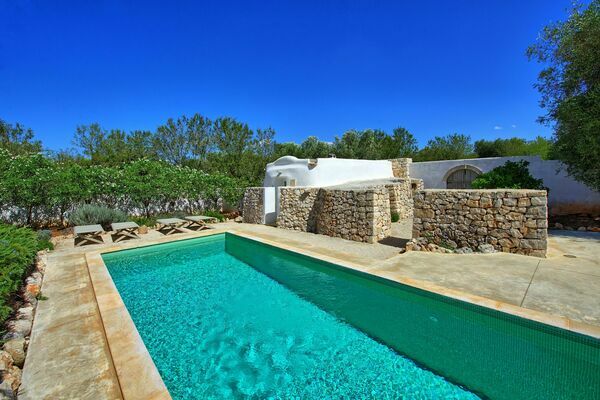 Laundry available. 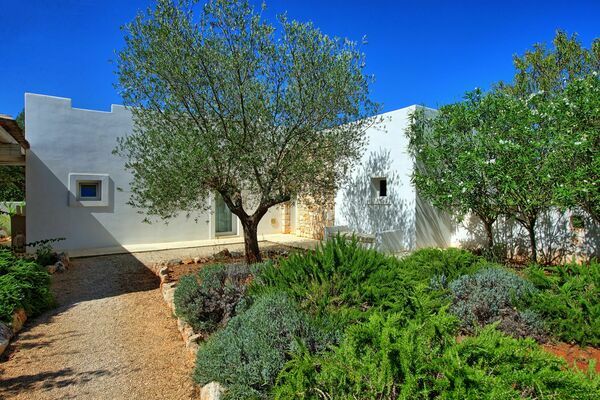 Extra Services: Maid service available by arrangement € 10,- / per hour (to be paid locally).